The vast majority of the world's children under the age of 15 live in environments with poor air quality, fueling a global public health crisis, according to a new report released Monday by the World Health Organization (WHO). About 1.8 billion children, or 93 percent of the age group, are exposed to air pollution levels that exceed WHO safety guidelines, according to the new report. Not surprisingly, 98 percent of children under the age of 5 who live in low- and middle-income countries are exposed to higher levels of dirty air. By contrast, just over half of children in the same age group who live in high-income countries are exposed to levels that exceed WHO's safety guidelines. The striking new report warns that children who breathe polluted air face a greater risk of developing a host of health problems that can lead to early death, including impaired brain development, respiratory disease, childhood cancer, and cardiovascular disease later in life. In 2016, poor air quality contributed to respiratory tract infections that led to the deaths of 543,000 children under the age of five, according to the same report. The report arrives one week ahead of the first global conference on air pollution and health, organized by WHO. At the conference, which opens in Geneva Oct. 29, participating nations are expected to pledge various initiatives for reducing air pollution. Children are particularly vulnerable to the effects of air pollution because their bodies are still developing and they breathe more rapidly than adults, causing them to absorb proportionately more pollutants, according to the report. Children also tend to breathe closer to the ground, where pollutants are concentrated at greater levels. The report's authors say the damage may even begin before a child is born. Pregnant woman who breathe in dirty air are at a greater risk of giving birth to premature or underweight babies, conditions which can lead to chronic disease later on. WHO director Ghebreyesus calls air pollution the “new tobacco" and blasts what he calls a "smog of complacency" that pervades the international community. WHO estimates that poor air quality kills 7 million people annually, more than the number of people killed by tobacco smoke per year. 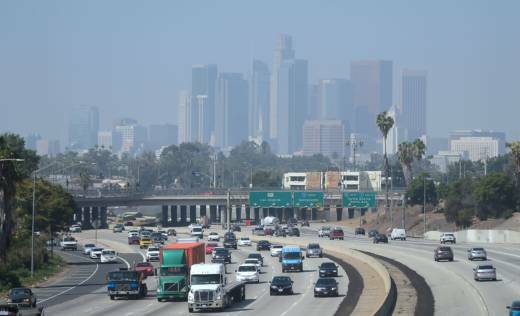 In the U.S., about 77 percent of air pollution comes from power plants and other industrial processes, according to the latest available information. More than 16 percent comes from wildfire smoke. Under President Donald Trump, the Environmental Protection Agency has proposed rolling back several key standards that limit air pollution, including the Clean Power Plan, clean car rules, and methane standards for oil and gas operations.